Sometimes a company offering some type of entertainment, recreational activity, or an activity that involves some degree of physical harm will ask participants to sign a document purporting to release the company from liability if someone is injured. 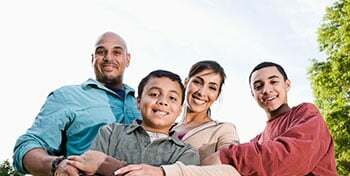 Do you know what your are signing and the current state of the law on these waivers? If not, you are not alone. Understanding exculpatory agreements as a consumer and as a business owner can help you protect your legal rights and avoid costly legal proceedings. 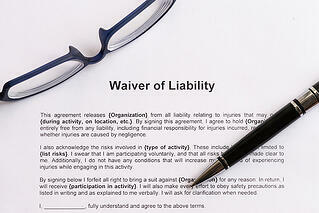 Take a look below as we outline everything you need to know about waivers of liability. What Is An Exculpatory Agreement? Exculpatory agreements, waivers of liability, or releases of liability, occur when someone conducts a recreational activity and as a condition to participating, requires the other party to release the business from any liability if they are hurt. How Are Exculpatory Agreements Handled in Wisconsin? There was some uncertainty in how these were treated in the early 1990’s, but from the mid-1990’s and especially after 2005, the courts have not enforced exculpatory agreement very frequently. The operator is in a position to make changes in the activity to make it safer, while the participant typically cannot change the activity. The activity operator is in a better position to spread the risk of injury, incorporating the purchase of insurance into the entry or activity fee. Atkins v. Swimwest Family Fitness Ctr., 2005 WI 4, 277 Wis. 2d 303, 309, 691 N.W.2d 334, 337. In the case, an unfortunate accident occurred and the plaintiff drowned in the pool. A more recent court of appeals decision applying Atkins is Brooten v. Hickok Rehabilitation Services, LLC, 2013 WI App 71. In that case, a health club member was injured when a weight bench collapsed because a T-Bar on the bench was loose and it shifted, causing the bench to go from a flat position to a declined position. The fitness center had a signed “Waiver and Release of Liability” signed by the injured club member when he joined. The appellate court determined the release was contrary to public policy and void. The agreement was impermissibly broad and all inclusive, incorporating every type of liability imaginable. It was presented on a “take it or leave it” basis. It included a defense and indemnity type agreement, which the court noted went “two steps further” than agreements already held invalid. The Atkins decision notes that exculpatory language is strictly construed against the party that drafted it. So if you have broad, all-inclusive language about the activity and risks, it is ambiguous as applied to a specific activity. For example, the terms “any conditions or injury” in the language of the wavier, cited above, was too general to include the risk of death by drowning. That language was too broad and all-inclusive, even though they were dealing only with a swimming pool and everyone should know that drowning is a risk. Second, the registration form was combined on the same page with the exculpatory agreement, and third, there was no meaningful opportunity by the guest to alter the terms of the agreement. The one element that is common to all of these agreements is that they are on a pre-printed form and offered on a take it or leave it basis, which is pretty much the essence of this type of agreement. That is one of the factors the court uses to invalidate the agreements. Recently, due to some tort reform legislation, there are a few activities that are treated differently, like ski hills and horse riding activities. They have specific statutes enacted in the past few years that provide them immunity. There also is a case created exception for spectators signing these exculpatory agreements to watch car races from the pit area or the track center. An odd procedural fluke made certain types of those agreements enforceable. The bottom line is that these exculpatory agreements cannot be relied on in Wisconsin. The clear message to organizations is to make the activity safe to the extent you can do so. Correct unsafe conditions or procedures you discover. And make sure to purchase insurance to spread the risk of your activity. Have you signed a waiver like this in the past? Were you aware of the legal implications?